Okay, a little update on my Lupe Vélez book. Way back when this project initially took off, I was approved 150 photos by my publisher. However, that number was based on me coming in at 110,000 words. As I got to researching and writing, my word count ended up coming in at 135,000 words! So, this will affect my page count and when the page count is affected, so is the price of the book. In order to keep the book in a price category that we’ll ALL be happy with, I’ve had to cut my number of photographs by HALF! That said, the story is the story and it’s a GREAT story. I’ve spent the last few days going over my photo choices with a fine tooth comb and I believe I’ve reinvented my selection to meet the seventy-five photo requirement and still tell her story, photographically speaking, in a thorough way. Oh, it hasn’t been easy. I’m exhausted! Anyway, as the months progress, I’ll post those pics that didn’t make it – HERE! 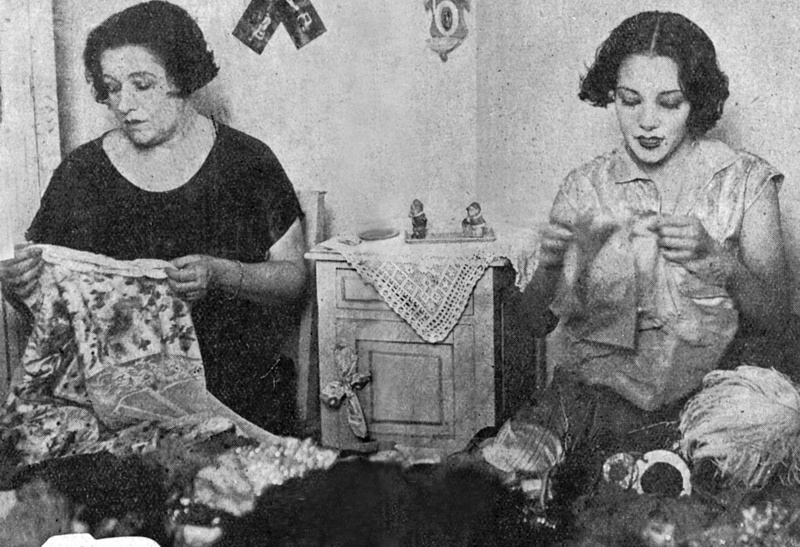 Lupe sewing costumes with her mother in their home in Mexico. She’s about 16/17 years old here. 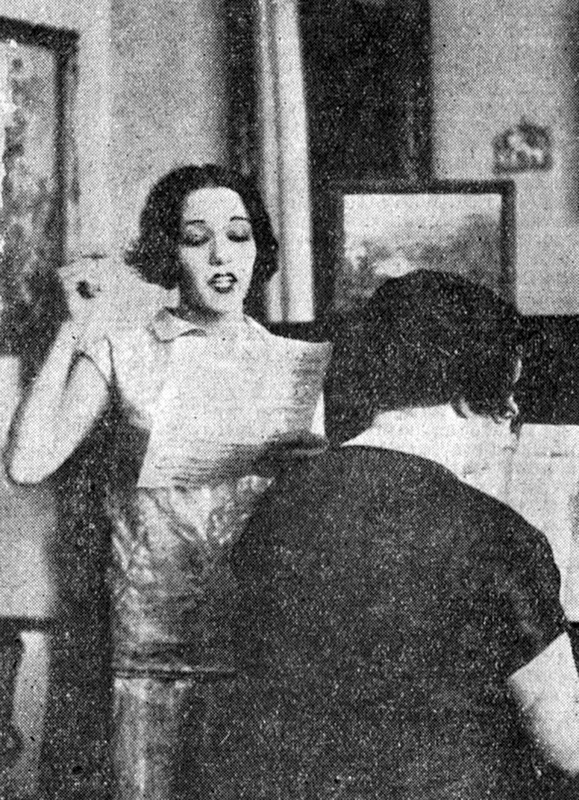 Lupe practices her singing. Her mother, Josefina, plays piano. 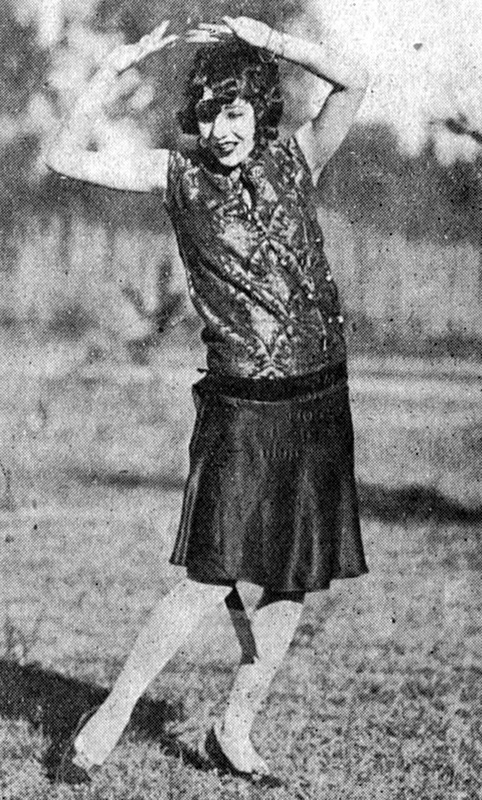 Lupe’s dancing drove men wild…here she demonstrates some of her moves!